Retailers are motivated to accept Bitcoin because it offers the potential elimination of billions of dollars of transaction fees and big margin increases. The expected first trading of the Winkelvoss Bitcoin ETF in 2014 can offer investors a chance to get long Bitcoin companies while hedging the price of Bitcoin. BitcoinShop Inc. is a first mover in the Bitcoin retail sector and could offer a good long position against the Winkelvoss Bitcoin ETF short. Back in February, I wrote an article for Seeking Alpha discussing how I was quite interested in the possibility of finding some companies that were first movers in and around Bitcoin. There are a lot of very smart people who are skeptical that Bitcoin is going to last for very long. I'm skeptical too, but what really got me interested in Bitcoin is how strong the financial motivation is for merchants to get rid of all of the fees they have to pay to financial institutions. In a high volume, low margin business like retailing, all of those little fees add up to a huge loss of bottom line profitability. On top of that, there is the cost of trying prevent and protect against credit card fraud, which is another huge cost to retailers. A digital currency like Bitcoin could eliminate billions (could be trillions, really) of fees that retailers are going to have to fork over in the years ahead. It could also greatly reduce the cost of fraud protection and prevention. I'm a big believer in the power of incentives. The financial incentive for retailers to accept Bitcoin or a digital currency like it is enormous, and that is why I believe that Bitcoin has more than just a fighting chance. 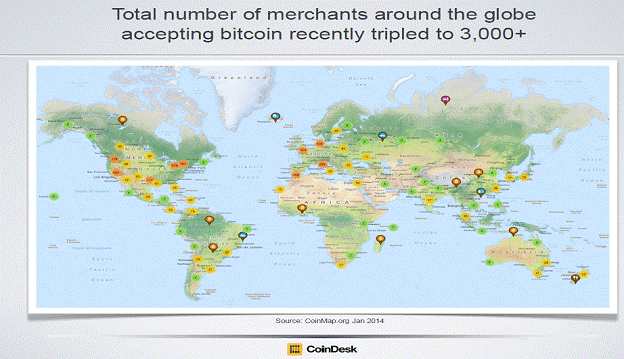 Getting the merchants to accept Bitcoin is what will drive its ultimate success. If people can buy stuff with Bitcoin, they are going to use it. The number of retailers accepting Bitcoin is moving pretty quickly in the right direction. So I'm becoming increasingly bullish on the chance of Bitcoin being around for the long term. I am not, however, bullish (or bearish, either) on the actual price that Bitcoin trades at. The reason for that is that I have no clue how to assess what the true intrinsic value a unit of Bitcoin should trade at. It could be $50, or it could be $1,000. I honestly have no idea. I do not want to be long Bitcoin. I want to be long Bitcoin's level of acceptance. If Bitcoin ultimately fails, any companies that are bets on Bitcoin's level of acceptance will also fail. I think a good strategy would be to get long Bitcoin exposure through Bitcoin companies, but hedge that exposure through a short on the price of Bitcoin. Currently, shorting Bitcoin is not easy to do. That is going to change this year. Thanks to the Winklevoss twins of Facebook (NASDAQ:FB) fame, I believe there is soon going to be a way that I can hedge my risks and still get exposure to the big upside some of these Bitcoin startups provide. The Winkelvoss Bitcoin ETF (BITCN) is going to make investing in the price of Bitcoin as simple as buying shares in any other exchange traded fund. The Winkelvoss Bitcoin ETF would work just like a commodity-based ETF, where the trust buys bitcoins to back the ETF's shares. The SEC is currently reviewing the Winkelvoss Bitcoin ETF submission, which is expected to be approved this year. But as I said, I don't want exposure to the price of Bitcoin. I'm not interested in buying the Winkelvoss Bitcoin ETF. I'm interested in shorting it as part of a hedge against investments in other Bitcoin related investments. The Winkelvoss Bitcoin ETF will offer investors like me an opportunity to short the price of Bitcoin. If Bitcoin disappears, this hedge will offset losses I have on investments in Bitcoin related companies. On the other hand, I believe the upside in Bitcoin related companies will be many multiples of the Bitcoin price itself, so being short the ETF isn't a concern if Bitcoin really does start to gain mass acceptance. One outcome, I come out not making or losing much. In the other outcome, I make a good sized return. I've been looking at every little Bitcoin related publicly traded company that I can, and BitcoinShop is my favorite so far. It also happens to be the only one with Bitcoin in its name. As Seeking Alpha author George Ronan detailed last month, BitcoinShop Inc. (OTCQB:BTCS) is a company with a lot of potential, but for investors, it also carries a lot of risk. I think the potential for this company is big if Bitcoin continues to have an increased level of acceptance. But I need to stress that this is a small company, and the risks for investors are significant. First off, the public float for the company is very small. That means that the stock price is going to be very volatile and could swing significantly in either direction for reasons that have nothing to do with the performance of the company. Second, BitcoinShop is basically a startup company, which means chances for failure are much greater than an investor would expect to be exposed to when investing in more established companies. This is not an investment that is based on fundamental analysis. I can't show you that this company is inexpensive relative to cash flow or asset value. This is an investment based on a idea. The idea that if Bitcoin acceptance continues to grow, first movers like BitcoinShop are going to be the ones that are the big winners. If BitcoinShop interests you, please be sure to keep position sizes small. This is pretty close to venture capital style investing where chances for a big loss are significant, but the potential rewards are much larger than usual. 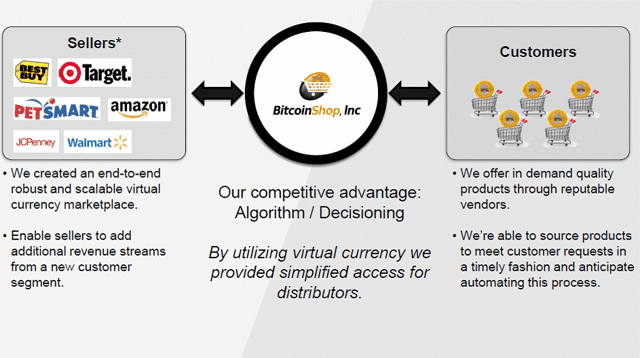 BitcoinShop offers a wide variety of merchandise for purchase with virtual currencies, with obviously Bitcoin being the primary one. The company was started by two NASA engineers who wanted to provide a place that Bitcoin could be turned into products. Similar to other online retailers with solely an online presence, such as Amazon (NASDAQ:AMZN), eBay (NASDAQ:EBAY), or Rakuten (OTCPK:RKUNF), BitcoinShop aims to present a traditional browse and checkout process for customers. 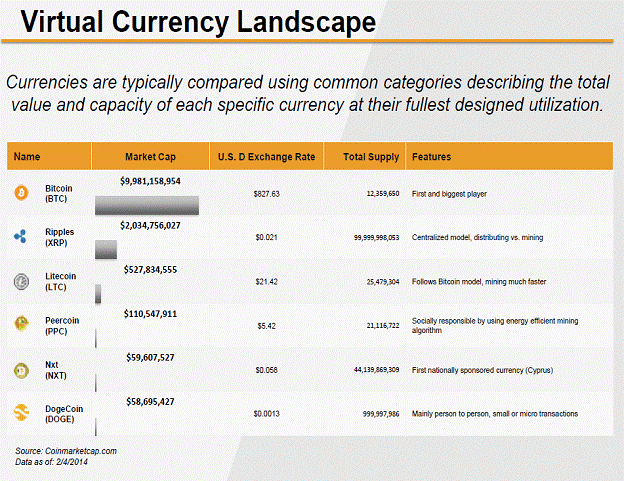 The only difference being that customers pay with a virtual currency instead of a fiat currency. The BitcoinShop team has been actively spreading the word about the company, appearing on all of the major financial networks FOX, CNBC, and Bloomberg. I think that it is a good idea to put a face to the company, given how Bitcoin itself is just a concept that exists on the internet. I've heard the word "shady" and Bitcoin together so many times I've lost count. BitcoinShop has been making a big effort to provide transparency by going public through a reverse takeover and getting out in front of the camera. BitcoinShop does not actually hold goods or services. It acts (for a fee) as a broker between customers and existing sellers. 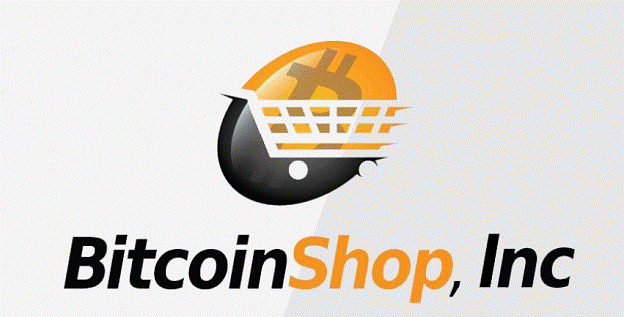 Customers can already access 140,000 products through BitcoinShop, and that number is growing. By being a middle man instead of an inventory carrying retailer, BitcoinShop can grow exponentially if it can continue to add to its list of sellers. 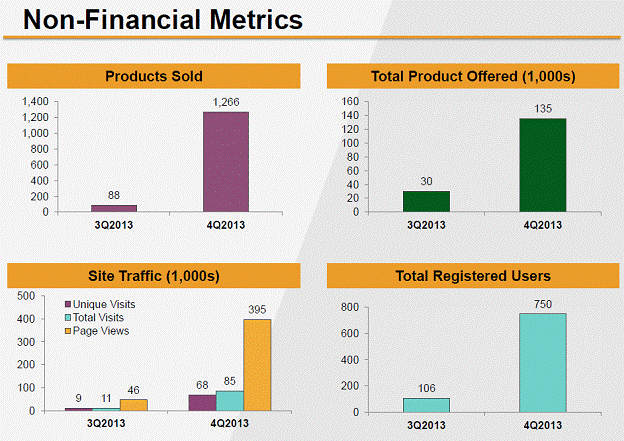 The site started operations in the third quarter of 2013 and is still quite small, but growing rapidly. 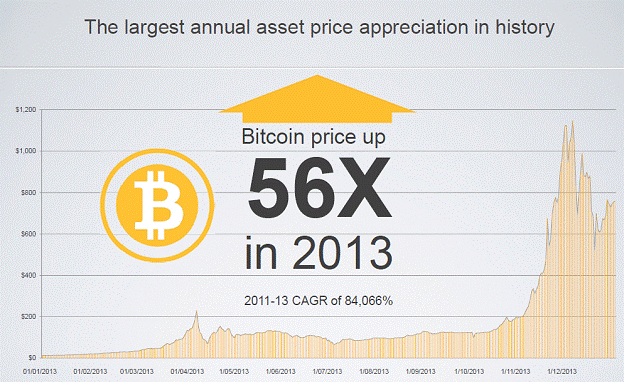 For investors, it is important to know that the company doesn't take much Bitcoin price risk. In his CNBC interview, the CEO indicated that 80% of company cash is kept in regular cash and the other 20% is in Bitcoin. Valuation work on this company is virtually impossible to do at this point. The company is new, so the first set of public financials haven't been filed. And even if they had, they would be of limited use since this is basically a startup that is evolving quickly. BitcoinShop is likely either going to hit it big or it isn't. This isn't an investment idea that is about trying to do a precise valuation. This is an investment idea that is based on getting in early on something that could get very big, very quickly. What they brought to the company was the computer science needed to match the fast moving price of Bitcoin and making transactions on goods that have fixed prices. To that expertise, a CEO (Charles Allen) was added who has a background in capital markets, business strategy and investment banking. You can get to know Mr. Allen a little bit through the television clips linked above. Like Bitcoin itself, this team isn't proven, but they did have the initiative to quickly become a first mover in this space and smoothly executed a reverse takeover to bring this company public. But you're obviously a bitcoin fan. Why? There are business and philosophical reasons. First, the business reason: I think there are a legitimate number of consumers who want to be able to shop with bitcoin. They like the anonymity of the currency. So far, the market has only served them with shady websites, like Silk Road. Also, it saves us about 2% from interchange fees. It's no secret that our net margin is about 2% now. And so the savings would be a very substantial improvement to our bottom line. Overstock could double its net margin with a digital currency. Incentives drive behavior, and that kind of increase in profitability is one powerful incentive. There are billions of reasons why retailers would want Bitcoin to succeed, and that is reason enough for me to be interested. This is speculative, risky and completely unproven. I would have said the same thing about Amazon.com, Ebay and anything else internet related twenty years ago. I feel much better getting long companies like BitcoinShop while also hedging my bets with a short of the Winklevoss ETF, which I expect to become available in the coming months.